Cut a lengthwise slit in each pepper; remove seeds and membranes. 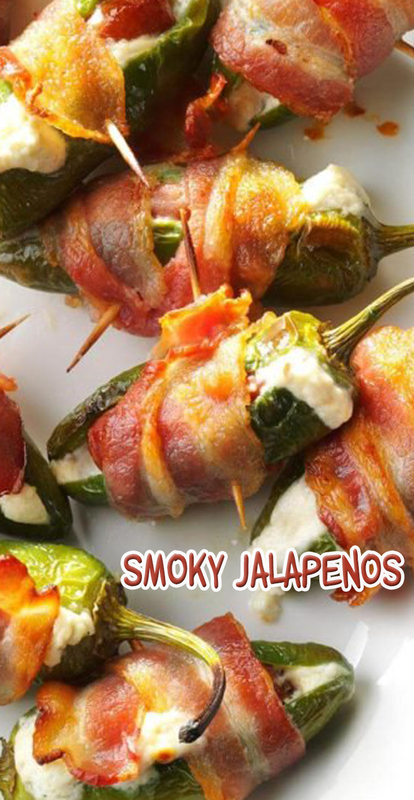 Spread a teaspoonful of cream cheese into each pepper; stuff each with a sausage. Cut bacon strips in half widthwise; cook in a microwave or skillet until partially cooked. Wrap a bacon piece around each pepper; secure with a toothpick. Place in an ungreased 13x9-in. baking dish. Bake, uncovered, at 350° for 30-35 minutes or until peppers are tender.